on 01983 760256 or at events@royalsolent.org. (Payment due in full on the day). Are you fed up with Brexit and all that it entails? 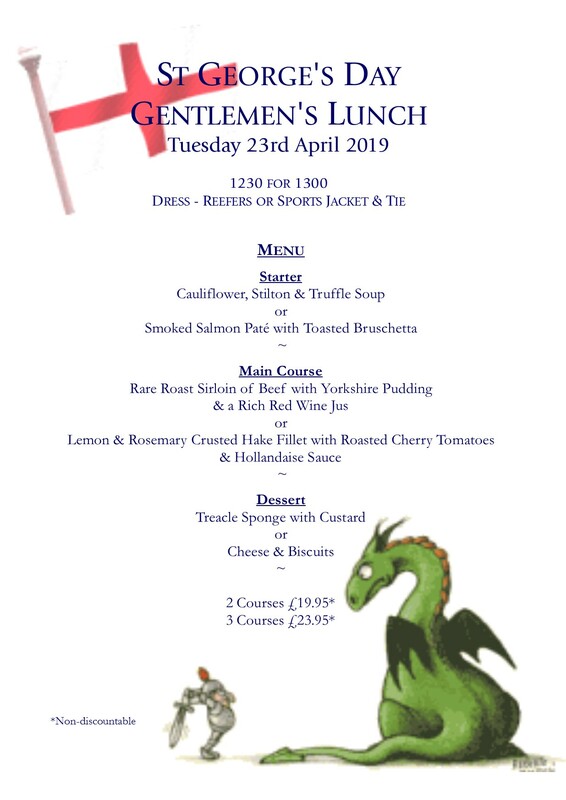 If so, come and join us for the final Gentlemen’s Luncheon of the season on St George’s Day, Tuesday 23rd April. We can celebrate a special day, whatever the outcome of the current debacle in Parliament! We will gather for pre-lunch drinks at 12.30 p.m., followed by lunch at 1 p.m. If you wish to join us, please add your name to the list in the foyer, or contact the office direct.